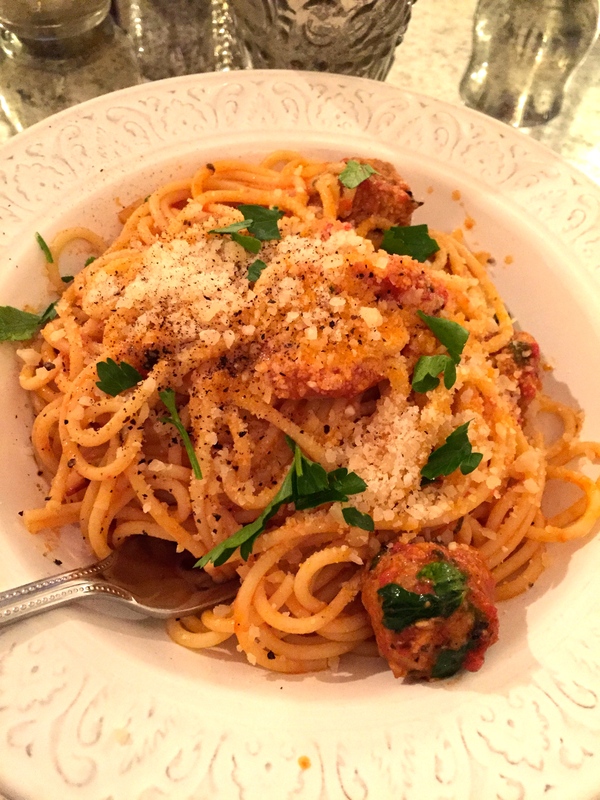 Ok, so I know spaghetti and meatballs are not really a proper Italian dish, but living in New York you do embrace the amazing things it offers, and this Italian American mix does really hit the spot. And I always say, if it tastes good, why not? So here is a really brilliant recipe which kids and grown ups alike will just love. I cooked it a few weeks ago when we were having our most recent blizzard. It is crazy to see every year how quickly all the supermarkets are stripped down to their bare shelves with such warnings, and the lines are so long to pay! Anyway luckily I got to the shops at 4pm when there was still a few things left and a half an hour long line! For the meatballs I like to use the meatloaf mix which my supermarket sells, its a mix of equal parts of pork, veal and beef mince. 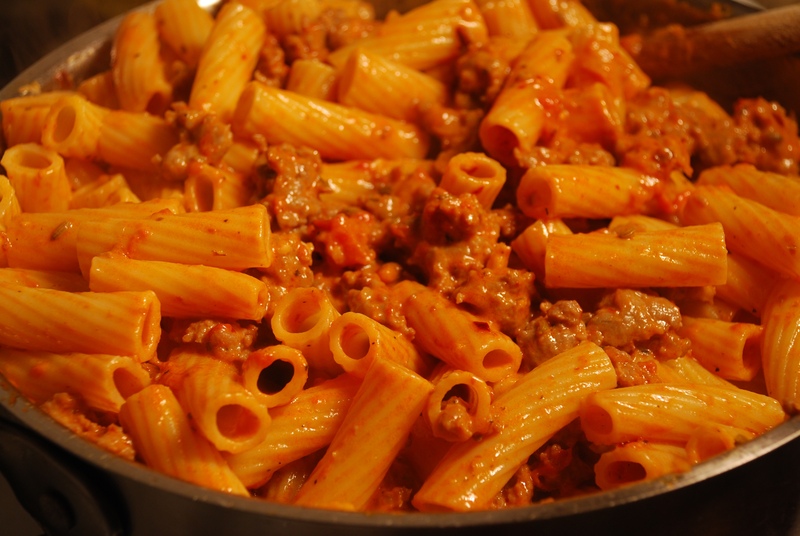 I think its perfect and saves time, so always get that when making this dish. If you can’t find the meatloaf mince then just buy equal parts of pork, veal and beef and mix. If its too much, you could just freeze the rest for future and pull it out whenever the mood for meatballs strikes again! 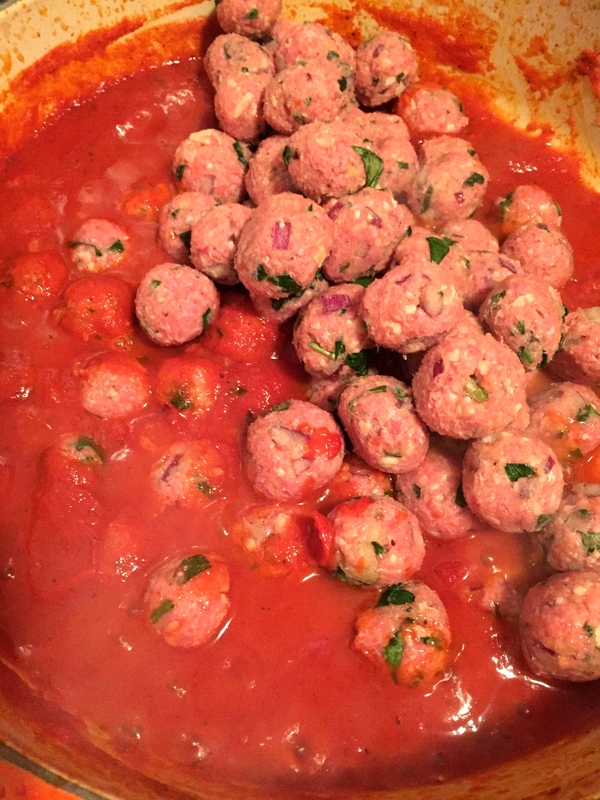 I like my meatballs really tiny, don’t know why, but feel they look much prettier and taste much nicer and cook quicker too…but you can make them what ever size you like…it does take longer to make so many, but does look amazing! Also I rather enjoy the ticklish feeling in the palm of my hand as I am rolling them, quite relaxing! Another trick is to rub a little oil on the plate on which you are keeping them, so they slide right off into the sauce happily when you need them to, rather then stick to the plate and give you grief. For the sauce, I really have gotten into fresh oregano lately! 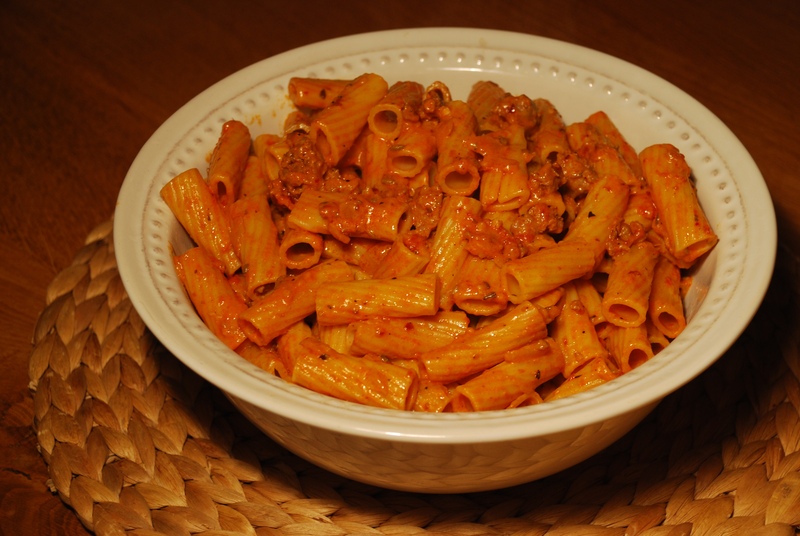 I used to always use basil for my basic pasta sauce, but one fine day I had fresh oregano and threw that into my tomato sauce and what a difference it made. If you have some fresh marjoram add a few leaves of that too, it does work really well. Just try it and see. Even my husband noticed and was like, “wow this sauce tastes so different and really really good, what in it?”. So now I always try and keep some fresh oregano in the fridge, its my new favorite herb! Just changes everything in a good way! 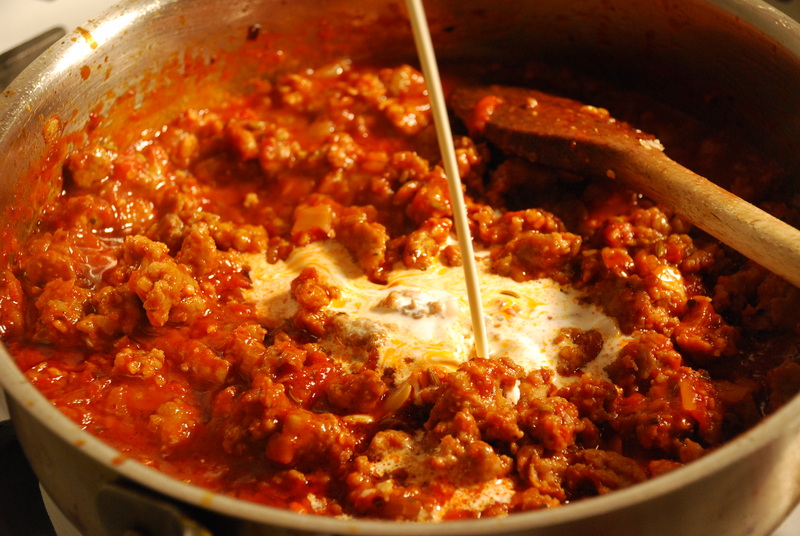 In a large bowl, mix together your mince meat, add the onion, salt, pepper, crushed red chilli pepper, garlic, eggs, parmesan, parsley, breadcrumbs. Mix together with your fingers and don’t over work the mixture. Now roll the mix into tiny inch sized balls or larger if you prefer to have bigger meatballs. Wet your hands with water or a tiny bit of oil in the palm of your hand before you do and the mixture sticks less to your hands. 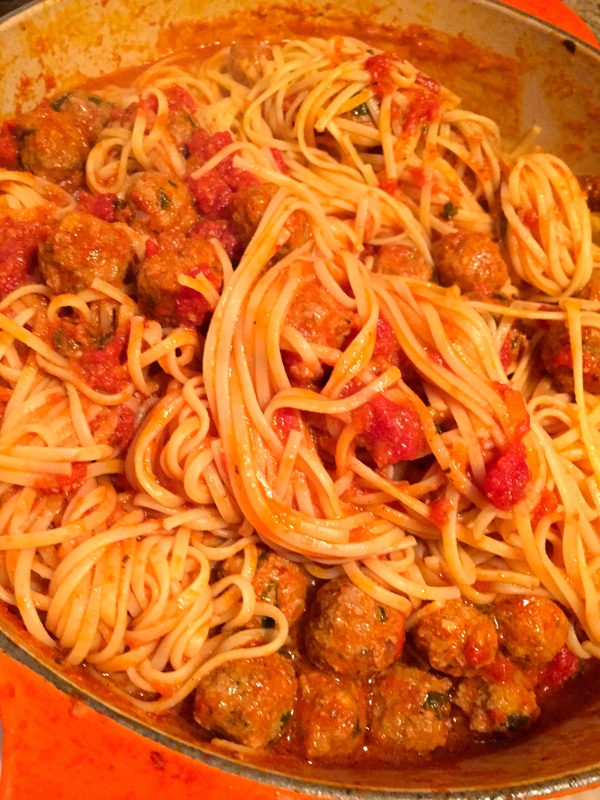 Keep the meatballs in a plate and stick in the fridge so they firm up a little while you make the sauce. Heat a large non stick frying pan, and add the olive oil. Add your garlic and chill flakes stir for 15 seconds, and before it may go brown add in the plum tomatoes, salt, a spoon of sugar, pepper and oregano. get a potato masher and break the plum tomatoes in the pan slowly without splattering yourself. 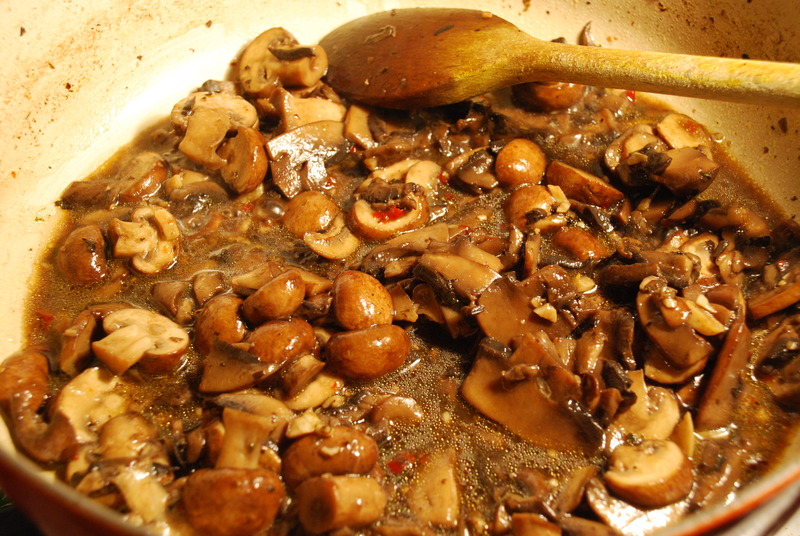 Add a little white wine or vermouth and let the sauce reduce and cook for 10-15 minutes. 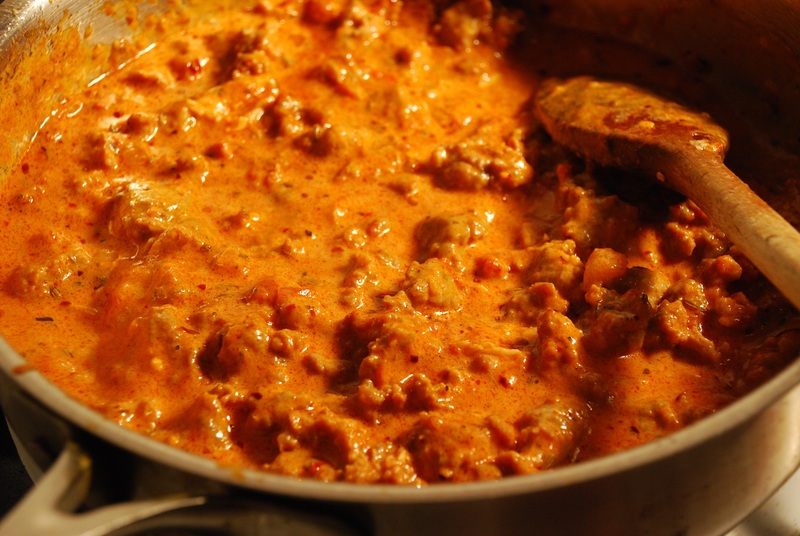 If it looks too dry at any point just add a tiny bit of water to get it to the right sauce consistency. 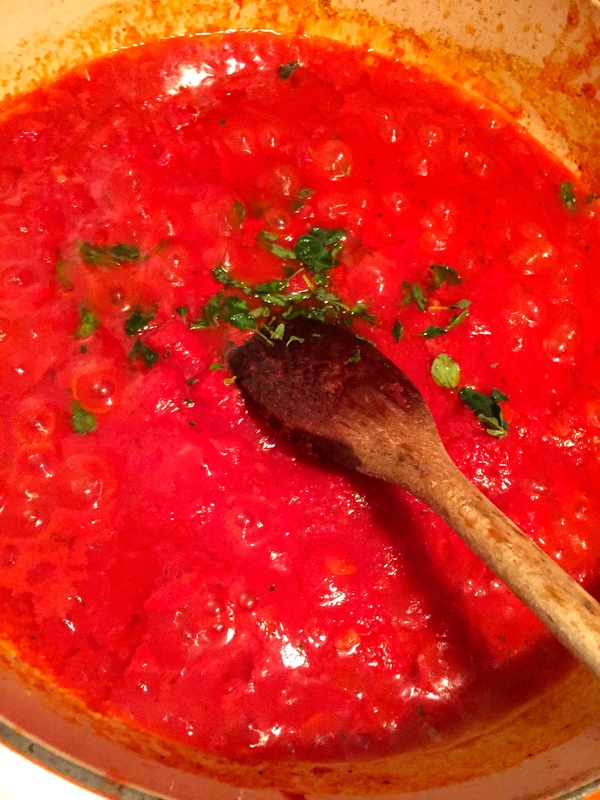 Taste the sauce and add more salt and sugar if needed depending on the sourness of your tomatoes. Place a large pot of boiling water on the heat ( or use boiling water from the kettle to do this quicker), cover and bring to a boil. 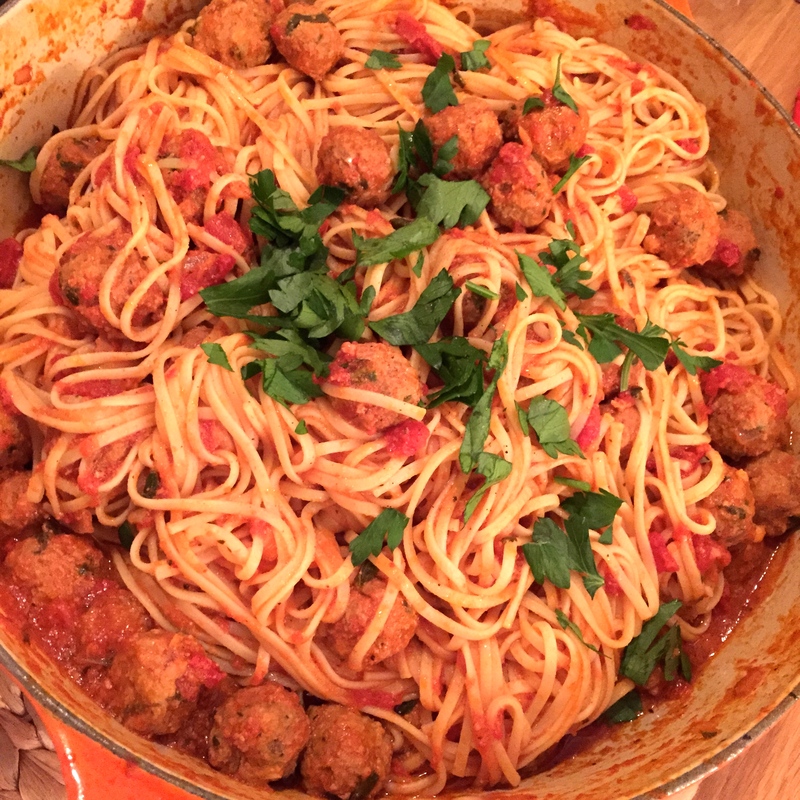 Keep the lid on and lower heat till you are ready to drop your pasta in when your meatballs are nearly ready. Add your cold meatballs gently into the sauce and do not stir around too much. Just move the pan a little and they will roll around. Once they start to hold their shape stir them around very gently and cover and cook on a simmer for 10 mins, stirring once in a while. By now the sauce will be smelling amazing with the parmesan smells mixing with the tomato and your mouth should be watering! 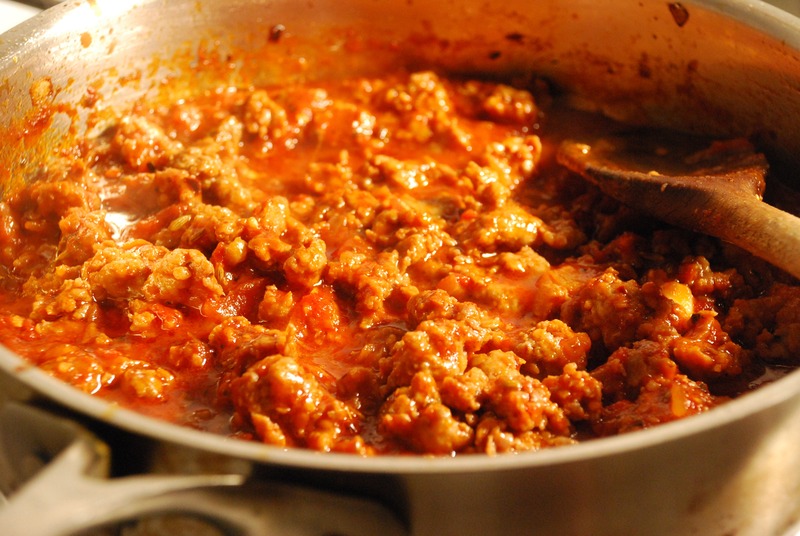 Add your cooked hot al dante spaghetti to the pot with the meatballs and use the spaghetti water to loosen the sauce if you need to. 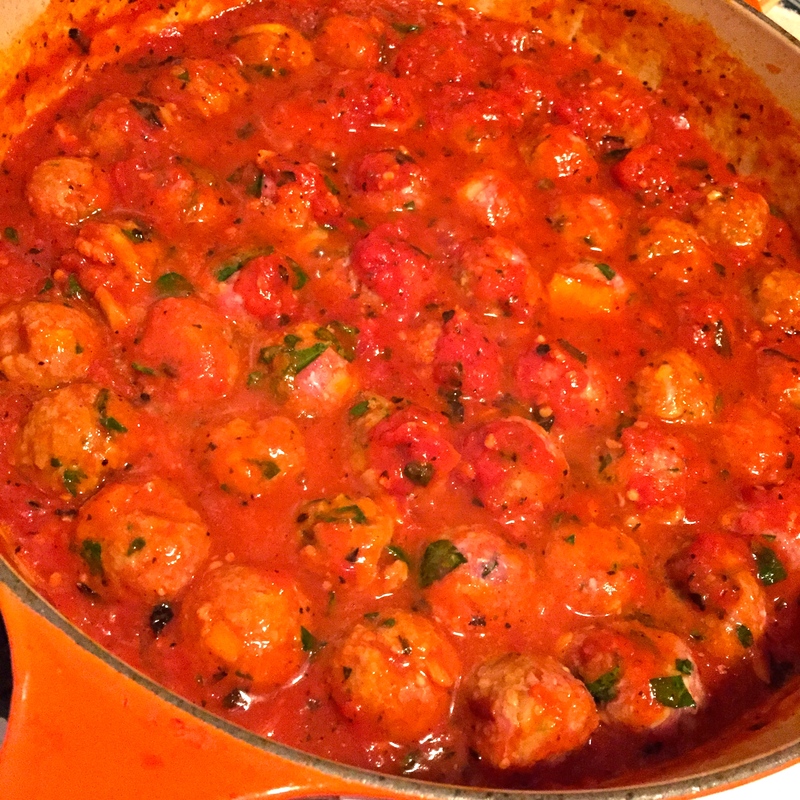 let it cook for a minute, toss very gently so it all mixes together nicely and the meatballs remain whole. 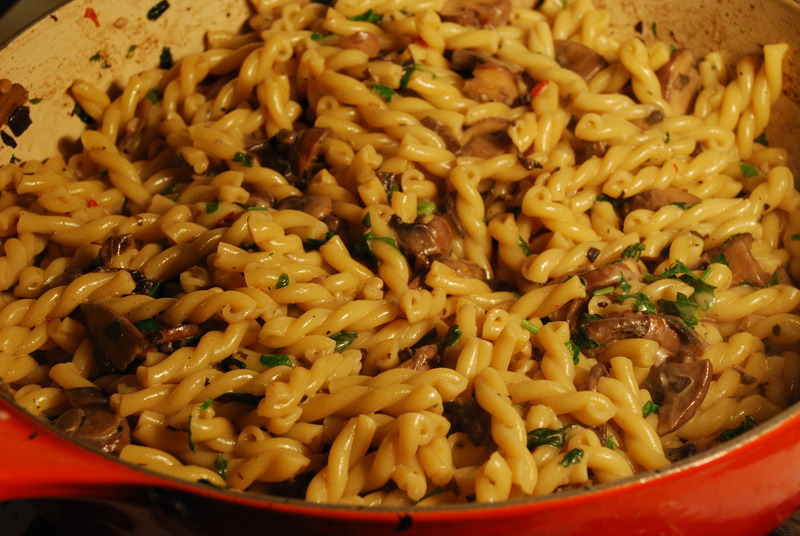 Sprinkle with some Parsley, and serve with some freshly grated parmesan cheese and more cracked pepper on top. 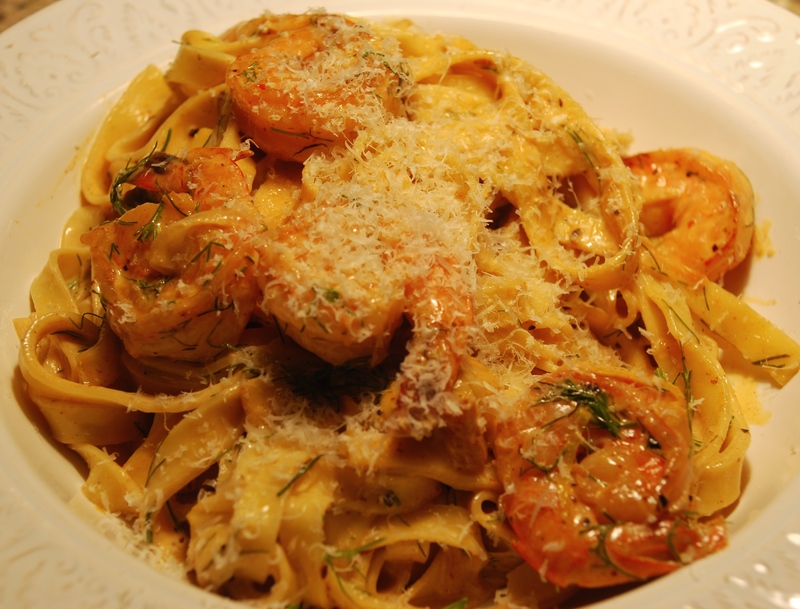 This is my favorite pasta with prawns. I just kind of threw these ingredients together at home a few years ago and have been making it since cause it tastes just divine! It is very quick to make and so delicious. 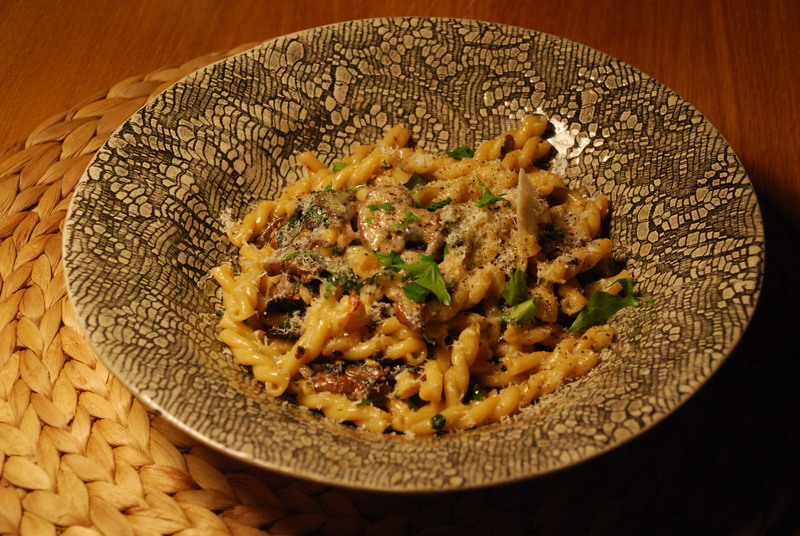 In fact it is so good, you can totally serve it for a nice dinner with friends. Takes only 15 minutes to make, so simple and easy it is. I used urfa chili flakes in this, but feel free to use any type of chili flakes you have on hand. Place your salted water on the hob to boil for the fettuccine. 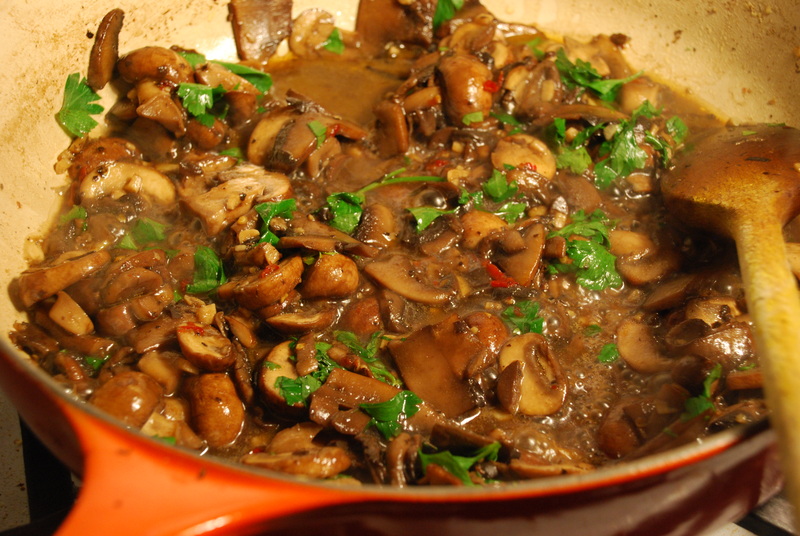 Heat oil in a frying pan, and add your onion and garlic. Cook for a couple of minutes and stir on med heat. Now add in your prawns and chopped red chili. Stir. Add salt and pepper. 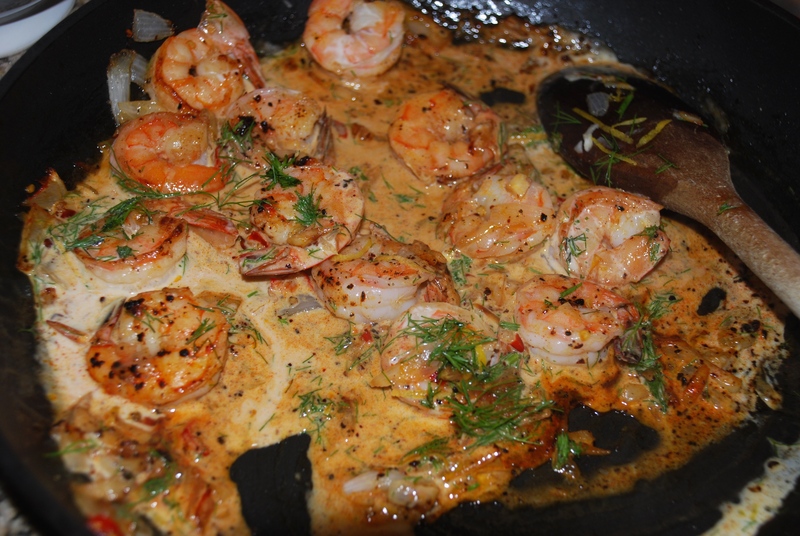 When prawns start to go a bit pink, add a splash of white wine. Stir. Once the wine has dried a little add in your cream, lemon juice, lemon zest, chili flakes and dill. 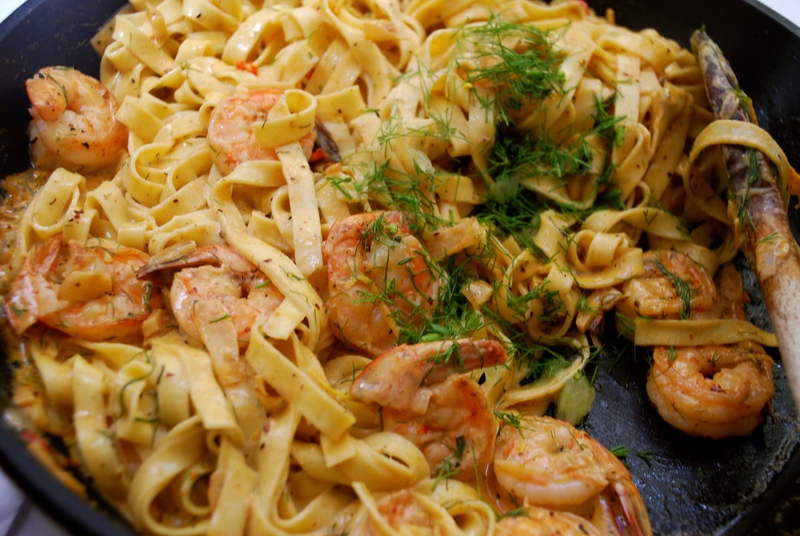 Drop you fettuccine in the water (should only take 2-3 minutes). Cook for another minute or so till every thing is warm and comes together. Do not over cook your prawns. Drain your pasta and add to the sauce. Toss. Serve at once, sprinkled with some more dill on top and parmesan if you like.